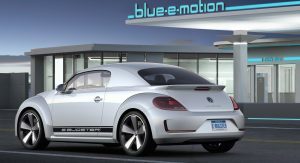 VW Can’t Be Planning A Plug-In Hybrid Beetle So Late In Its Life, Can It? 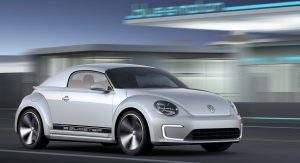 While the Volkswagen Beetle might not get a replacement at all, but a curious report suggests that the current generation might welcome a new powertrain. 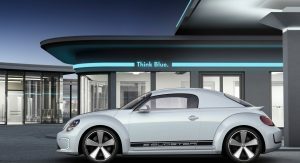 According to a filling by Italian parts supplier Magneti Marelli discovered by GreenCarReports, the Beetle is getting ready to receive an updated tachometer, with what appears to be an electric charge gauge. 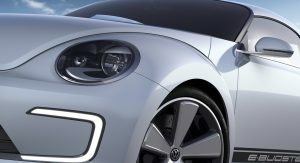 This feature is very similar to that of the e-Golf, but the publication believes that Volkswagen is actually planning a hybrid version of the Beetle. 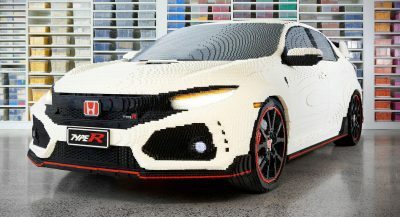 Of course, there’s always the possibility that we could be looking at a new concept or a simple idea that the Italian company wants to keep safe. After all, it would be strange indeed if the Beetle got such a version so late in its life cycle. 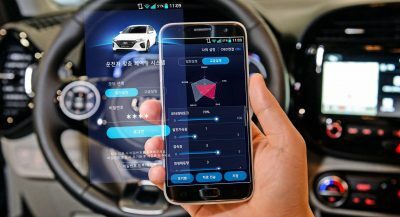 Magneti Marelli submitted the patent on June 14, and allegedly chose to keep details a secret until December 14. 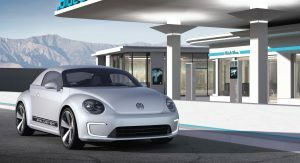 Thus, we’re at least some five months away from finding out if the Beetle will be given an electric boost. 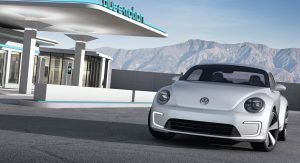 Volkswagen has already unveiled an electric Beetle some years ago, with the E-Bugster Concept of 2012. 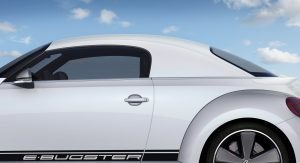 The ‘E’ stood for ‘electric’, whereas ‘Bugster’ blended the names ‘Bug’ and ‘Speedster’, with a reference made to the Ragster study from 2005. The two-seater show car premiered at the Detroit Auto Show, and came with an 85kW (116PS / 114hp) electric motor and a lithium-ion battery that allowed it to travel for at least 180km (112mi), yet a production version never materialized. 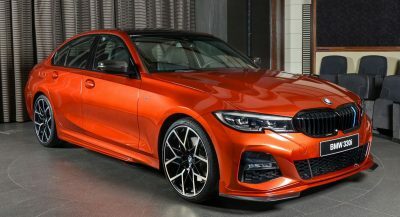 VW is always making boneheaded decisions, why not this? I like this and I think it is the perfect thing for the brand. 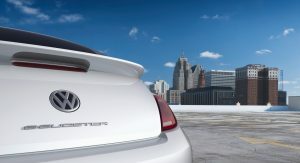 The current Jetta is a flop waiting to happen. This and the 4 door render from a previous article would make sense as a foray into the electric Veedubs. It will revive the retro nostalgia of the Bug, like the MINI has been enjoying. 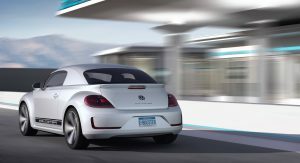 The Beetle needs rear-wheel drive to obtain fully retro nostalgia creds, and thats doable. 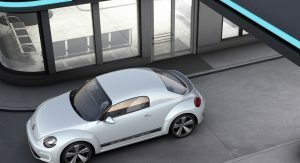 Rear doors are barely of any use to anyone; did you ever try the backseat in the New Beetle? Only suitable for small children and they are fit enough to climb in- and out past the front seats anyway, no need to ruin a nice 2-door design for such things. 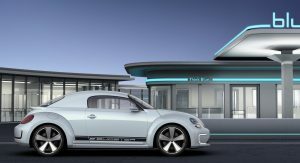 Well nothing new, apparently Beetle would become an electric car of it’s own, but it is VW so they would take some time before proceeding with it.